Travel photography, stock photos, fine art prints, and travel blog by Manchester, UK photographer Darby Sawchuk. Though winter is almost officially upon us, I don’t presently have any newer images to fit that theme, so here’s one from a short while ago that clings to autumn and just won’t let go. 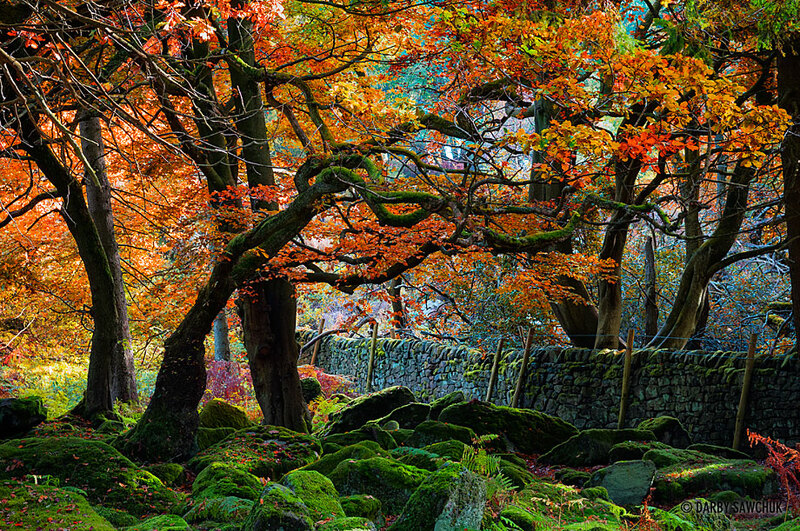 These fiery leaves come to you from Longshaw Estates in the Peak district. 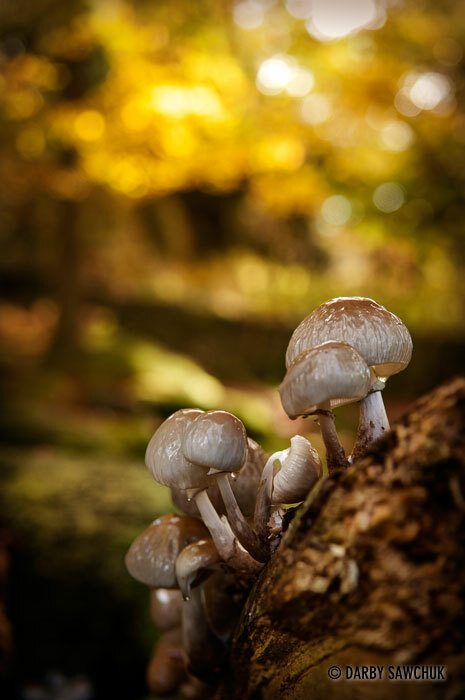 As autumn winds down, today’s photo of the day brings a bit of vestigial life in the form of some diminutive mushrooms at one of my favourite spots in the Peak District: Longshaw Estates. I’m no mycologist (yes, I had to look that up) so I’m afraid I can’t tell you what kind of fungi we’re looking at here. They’re small, they’re cute, and from the looks of it, a little bit slimy. Anyone know what species we’re dealing with or does that just describe most mushrooms? "The causeway leading to St. Michael’s Mount at low tide. #photo #photography #photooftheday #pod #cornwall http://t.co/N5pNDUQxdN"
"A misty morning in the #Peakdistrict. @vpdd @thepeaksonline #photo #photography #photooftheday #pod http://t.co/aKRbWqbZ81"
"Apart from how photostreams now look, I'm not sold on the new #flickr. #photography"
". @Pancione_ We knew this day would come. We've been replaced by a monkey. http://t.co/fz6gD9Vvzr #photography"
"The view I had from my hotel when I was in Greece. #photo #photography #photooftheday #pod #greece http://t.co/gRp0MtFqTF"
Darby Sawchuk is a Canadian-born photographer who currently resides in Manchester, England. He has travelled to over 40 countries and is always adding more to the list. He creates stock for multiple agencies and is available for assignments. His work has appeared in such publications as: Men's Journal, New York Magazine, Globetrotters Guides, Footprint Guides, Western Living Magazine, The Telegraph, Forbes Traveler, Country Explorers and more. Read more. © All text and photos Copyright 2019 Darby Sawchuk. All rights reserved.